Once you have designed a new website the next logical step is to create the content. But before that you need to ensure that your pages’ codes work efficiently. It simply means checking if the codes are minimal. The lesser codes your pages occupy, the more efficiently they will be transported to users’ browser, and faster your pages will be displayed. You may ask, what has codes go to do with SEO? The fact is they matter for search engines, and search engines matter for you, because they are the ones who bring you closer to prospective visitors. Checking your pages’ codes efficiency is not really a difficult job; you can check it at W3Schools, and there are also specialized code editors for writing efficient codes. Not always you can manipulate codes though, if you are using content management software like WordPress, Joomla, Drupal, and E-Magneto…and so on. That is because they generate the codes instantly and transport them to the browser with little time for you to intervene or bring changes to them. They have their own ways in which they make the codes efficient, however. Design: Page design is independent of CMS, so you can concentrate here and keep it slim and trim. The little things you can do are keep graphics size to the minimum and go in for table-less designs. Table based designs are not really an efficient way to design, though they find favor with novice webpage designers. The size of graphics must be least and in a preferred formats like JPEG or PNG for example. Don’t be tempted into using high pixel photographs, they have little effect in the way they show up on browser monitors, unless it is displayed on HD monitors, which few users have anyway. Your homepage or the landing page for that matter is not the only place your visitors will be viewing. Once there, they may want to explore other areas within your website, and to give them a good experience include a site map button which is easy to find and access. This is a crucial factor in SEO, because the longer you keep your visitors on your website, better are the chances of a superior search engine rank. You cannot always depend on the site map either, and that is the reason you must make your pages highly navigable through other links placed at strategic points. 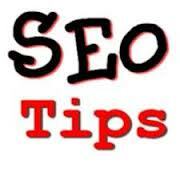 Before you begin with the actual SEO task, split them into convenient modules. You can prioritize them into High, Medium and Low. High Priority tasks include: Great content which you should create after thoroughly researching keywords. When you create content, see that you don’t recycle the same stuff you will see on other websites. Everything should be unique and particular to your site. Search Engine Optimization: SEO is not a fit and forget task; you will have to constantly come up with fresh content on a regular basis, preferably on a day to day basis. The best way to do that is include a news section relevant to your website’s objectives. This not only acts as an incentive for visitors to repeat their visits, but also to find favor with search engines which are favorably disposed to changing content. One of the biggest mistakes that novice webmasters commit is optimizing the entire site for a single keyword or phrase. The fact however is search engines nowadays, rank pages more than the website itself. That means every page in your website must use a keyword or phrase relevant to the content there. The advantage is, the chances of someone finding your website is higher because you have different keywords to experiment with. Another advantage is once a visitor is in; you can use your ingenuity to showcase other relevant contents as well. Keywords: Selecting the right keyword or phrase is both science and art. When you choose a keyword that is in extreme competition, your website gets pitted against other resourceful websites making it all the more tougher for you to be on the top, and even if you do get there, you may not be assured of a good conversion ratio. On the other hand, using a less popular keyword/phrase will ensure a more decent rank. Researches prove that visitors who use longer keyword phrase are more likely to convert, rather than those with a single keyword. Single keyword users in general tend to be not-so-serious buyers and seldom convert into business. You may as well try doing some research on your keywords; there are excellent tools available in the internet. Must Read: On-Page SEO vs Off-Page SEO which is more important? What other SEO tips do you think should be used for newly designed websites? Let me hear from you, please use the comment form below to share your view about this post. Remember to subscribe to my RSS feeds. Thanks for your comment…i hope to hear the effect soon from you on your site.